At 80 years young, he just won a grammy. And then quietly returned to his day job. Tonight, the school bus driver the children call Mr. Joe. To the children he gets to school every morning in Wilson county, Tennessee, Joe Thompson is just the bus driver. But tonight, families here are learning that the man behind the wheel for the last 14 years is now a grammy winner, too. On the grammy stage, he thanked the folks back home at the bus barn. Would like to send out a shoutout to the transportation department in Wilson county, Tennessee. Thompson sings bass for the Fairfield four, a legendary a capela gospel group. His day job pays him $17 an hour, driving little boys and girls with special needs. The children he serves are now sharing their love, which he says feels just a nice as his grammy. A Nashville gospel institution, this a capella quartet was founded in 1921 at Fairfield Baptist Church. Late gospel great Sam McCrary joined the a cappella group in 1935 and, during the post-World War II years, assumed leadership of the Fairfield Four as they recorded dozens of sides for Dot Records, Bullet, Nashboro and other labels. Those records would go on to influence doo-wop acts of the 1950s such as The Clovers. When a cappella gospel music declined in popularity and McCrary was called to the ministry, the Fairfield Four went on hiatus for about 20 years before reuniting in the '80s. In the years since, they have been named National Heritage Fellows, appeared in "O Brother, Where Art Thou?" and sung with Elvis Costello, Steve Earle, John Fogerty and more. The group won its first Grammy award in 1998. Rock My Soul Featuring: The Fairfield Four & the McCrary Sisters - This pairing of two legendary gospel groups is not to be missed! 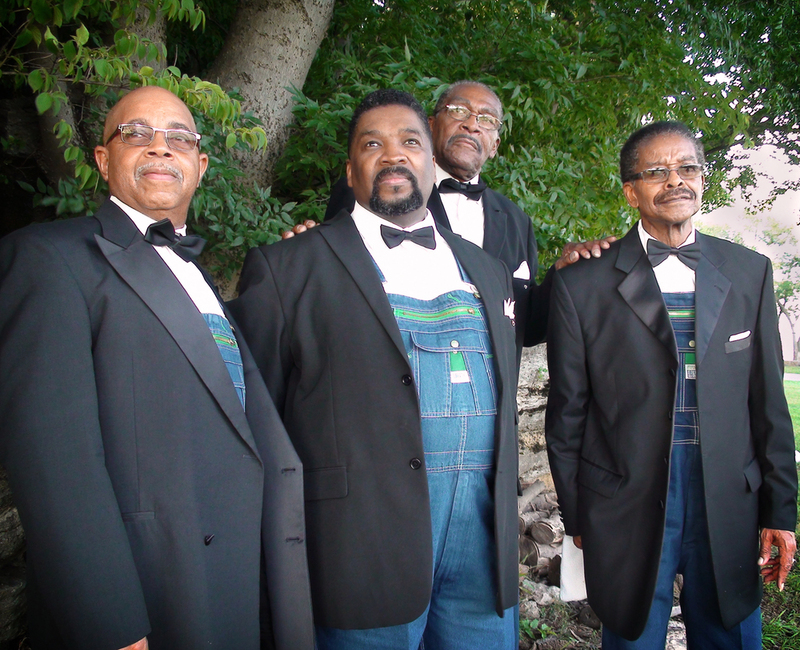 Known for their appearance in the film “O Brother Where Art Thou,” and on the film’s soundtrack, The Fairfield Four continue to sing in the traditional African American a cappella gospel style they have been known for since the group's inception nearly 100 years ago. In 1997, the group was tapped by John Fogerty to sing on the track “A Hundred and Ten in the Shade” from his LP “Blue Moon Swamp.” Founded in 1921 in Nashville, the Fairfield Four have earned Grammys for “Best Traditional Gospel Recording,” and “Album of the Year” for the “O Brother” soundtrack. 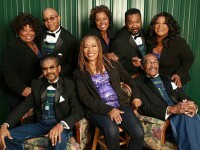 The group also received two Lifetime Achievement Awards and were inducted into the Gospel Music Hall of Fame in 1999. Nashville’s McCrary Sisters have recorded with Stevie Wonder, Bobby Jones, Wynonna, Ray Stevens, Buddy Miller, Patty Griffin, Johnny Cash and Elvis Presley. The four sisters are the daughters of the late Rev. Samuel McCrary, who was a founding member of The Fairfield Four. Ann began singing at age three while Regina toured with Bob Dylan for six years and recorded three albums with him. Their last release, “Our Journey,” featured cameos by Buddy Miller Delbert McClinton, and Patty Griffin. September 20, 2015 by Ann Powers - So much history is contained in the intertwined harmonies of The Fairfield Four and The McCrary Sisters. 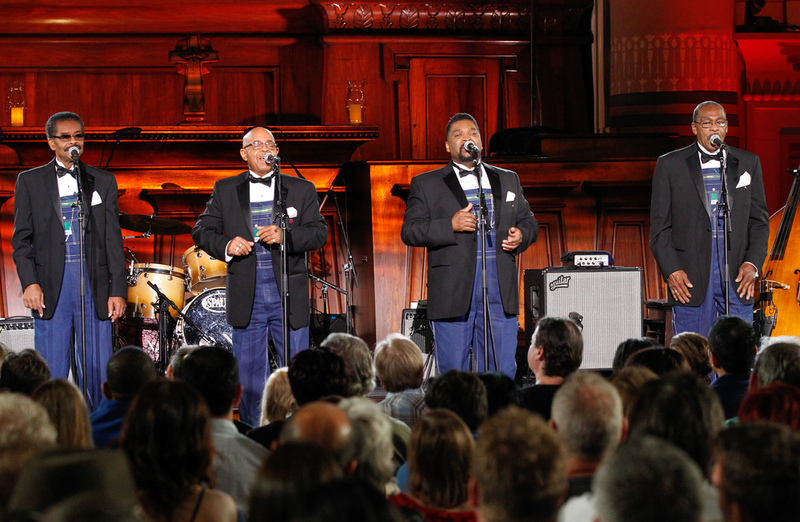 Together, these groups form a link to one of America's greatest singing traditions — that of the gospel quartet, which flourished at the center of sacred music in the early to mid-20th century and inspired early rock 'n' rollers from doo-wop groups to Elvis Presley. The original Fairfield Four was founded nearly 95 years ago in Nashville, and has remained relevant into the present day; many current listeners know the group from its appearance in the Coen Brothers' 2000 film O, Brother, Where Art Thou?The McCrary Sisters are the daughters of the now-deceased longtime Fairfield Four lead voice, Samuel McCrary; together, they've made a major impact as that rare thing in a mostly masculine preserve, a female gospel quartet. To hear these voices perform "Rock My Soul" together is to feel the power of living history and the timelessness of family connection. The finale of Perth's Southern Fried Festival - a celebration of American roots music that is now in its eighth year - saw legendary gospel vocal groups the Fairfield Four and the McCrary Sisters take to the Scottish city's Concert Hall stage last Sunday in an event that closed a memorable weekend in rip-roaring fashion whilst continuing a longstanding musical legacy shared by the two acts. Dubbed Rock My Soul, the evening kicked off with both the Fairfield Four and McCrary Sisters - inextricably linked through the siblings' late father and Fairfield Four stalwart Sam McCrary - walking on stage to rapturous applause to perform an a cappella version of "Come In This House" before the McCrarys exited stage left to leave their father's old group to declare that "this is church." Continuing in that vein, Bobbye Sherrell along with fellow tenor Levert Allison, baritone Larrice Byrd and bass man Joe Thompson - all clad in their trademark combo of work dungarees and tuxedo jackets - managed to extract some hallelujahs and amens from an initially reticent but eventually game Perth crowd before launching into an up tempo and handclap-driven set of spirituals that left the audience in no doubt that this was an evening of praise as much as entertainment. A number of songs in, the good-humoured Levert Allison won the crowd over by leading a stunning version of "Swing Low Sweet Chariot" and a combination of their trademark quartet harmonies and onstage camaraderie made up for their failure to perform "Lonesome Valley" - arguably their most recognisable work thanks to its inclusion on the career-boosting 'O Brother Where Art Thou' soundtrack - despite mentioning their involvement in the Coen Brothers film to thunderous applause. With each member getting their chance to shine ranging from Joe Thompson's rumbling bass voice tearing through "These Bones" to Levert's crowd-aided descent from the stage to stir up some fervour, the group were joined by Old Crow Medicine Show's Willie Watson for a version of "Children, Go Where I Send Thee" before finishing a set that proved that the current incarnation of the Fairfield Four has what it takes to ensure the group extends to beyond its centenary in 2021. After the interval, the McCrary Sisters (comprising of Ann, Deborah, Regina and Alfreda in age order) and their ever-reliant four piece band continued where the Fairfield Four had left off with a high octane version of "Come On" from their 2013 'All The Way' release before taking the audience on a whirlwind tour of gospel standards, spirituals and new songs that showcased the innate sense of harmony and musical intuition that perhaps comes most naturally to sibling groups. Whilst Ann was the obvious leader on the night, she was keen to let her sisters take the spotlight which resulted in some truly affecting moments including the group's self-confessed baby Freda pulling off a breathtaking vocal on her own, "He Cares", before Ann herself showed why she has been backing vocalist of choice for countless artists (famously including Elvis Presley) with a sensational rendition of her self-penned "Train". Most moving was the Deborah-penned "Hello Jesus" which was written during her recovery from a devastating double stroke and, thanks to an impassioned performance of the song by Ann, showcased not only the love between the sisters but also their gratitude to God for his part in Deborah's healing. Nashville country singer Doug Seegers took Buddy Miller's part on a rendition of "Hold The Wind" from the foursome's new album 'Let's Go' and UK singer Yola Carter fitted right in on "That's Enough". However, the night belonged to Regina McCrary who, through an array of powerhouse vocal performances and sheer energy, wooed the crowd and even pulled off a frantic tambourine solo during Deborah's song of surrender "Let It Go". After an instantaneous standing ovation, the McCrarys and their band came back on stage to perform the infectiously upbeat "Bible Study" before the Fairfield Four and the three guest artists returned for a crowd-pleasing sing-a-long of the veteran group's "Rock My Soul" to close an incredible evening of stellar vocal quartet gospel that succeeded in living up to its title by rocking the soul as well as the very foundations of Perth Concert Hall. By Jude Orakwe Full article here. 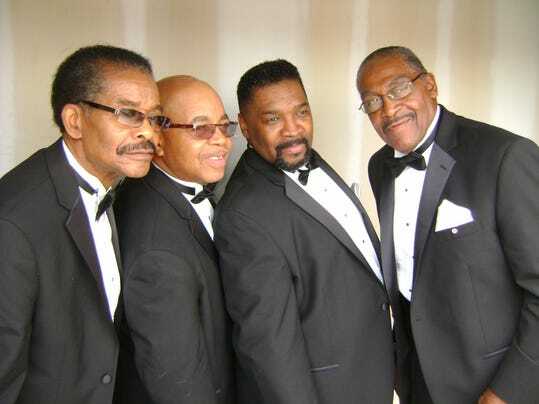 The Fairfield Four, a vocal quartet that has existed for almost a century, presently includes Levert Allison (tenor), Larrice Byrd, Sr. (baritone), Bobbye Sherrell (tenor) and Joe Thompson (bass). The quartet has been dedicated to performing traditional gospel music in the traditional “a cappella” manner since its founding in 1921. Jerry Zolten, who penned the liner notes, characterizes the a cappella singing style of the Fairfield Four as “intertwined voices rhythmically pulsating in harmony, anchored by a deep bass, lead vocal over the top” and “rooted in that hazy past before the era of recorded sound.” This history is recounted in the PledgeMusic video promo for the album. 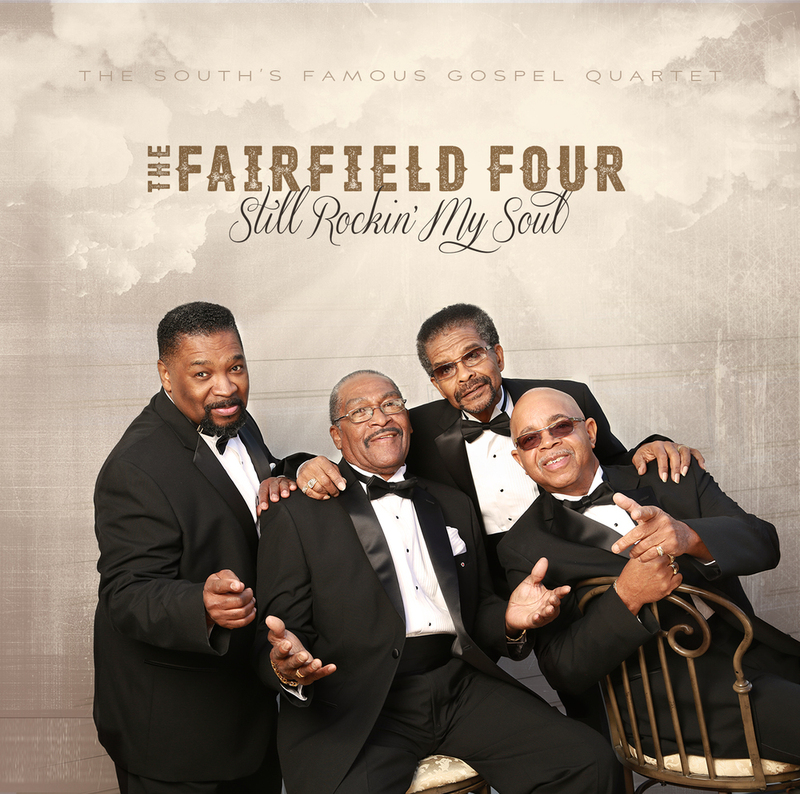 The Fairfield Four’s new album, Still Rockin’ My Soul, is their first release in almost 20 years. Concerning the musical selections, Zolten affirms that “the songs collected here are all part and parcel of the traditional Fairfield Four canon.” The opening track, “Rock My Soul,” is accompanied only by hand clapping and foot tapping, while on the spiritual “Children Go Where I Send Thee” country music singer Lee Ann Womack joins Joe Thompson on lead vocals. In “I Love the Lord (He Heard My Cry)” and the reprise which closes the album, one hears the organ accompanying a melodic chanting characteristic of the African American devotional line-out hymn. Additional tracks include “Come on in this House,” “Baptism of Jesus,” “Jesus Gave Me Water” (by Lucie E. Campbell), “My Rock,” “I Got Jesus and That’s Enough” (by Dorothy Love Coates), “Don’t Let Nobody Turn You Around,” and “Highway to Heaven” (by Thomas A. Dorsey). In sum, if one accepts the fact – and this, with good reason – that the human voice is the best of musical instruments, then the Fairfield Four exemplifies this in a most convincing way on Still Rockin’ My Soul. Gospel music historian Bil Carpenter has mentioned the instrument-like timbre of the Fairfield Four quartet, noting that “when the Fairfield Four sang, they utilized the full extent of their voices, moving easily from deep, rolling basslines to the staccato upper peaks of the tenor range, all executed with precise, intricate harmonies and ever-shifting leads.” Call it instrumental vocality, or vocal instrumentality, if you like! In 1925, when the Fairfield Four organized in Nashville, Tennessee, quartet singing was done a cappella. No instruments, just the human voice. And God saw that it was good. No–great. Over the years, quartets added to the mix an ever-expanding combo of guitar, piano, organ, drums, electric bass, and synthesizer until the music threatened to overpower the vocal harmonies. Whether or not you are a fan of quartet singing with music, we can agree that there’s something seriously magical about hearing a cappella vocal singing. The Fairfield Four has satiated this appetite in the twenty-first century with their new album, Still Rockin’ My Soul. While the original members of the group are long deceased, the new members capture the vocal color that once made the Fairfield Four one of the nation’s most popular gospel quartets. Thompson, in particular, shows effective tutelage from listening to the Fairfield Four’s iconic bass, Isaac “Dickie” Freeman. The liner notes, penned by Jerry Zolten, not only provide a brief history of the Fairfield Four, but also reveal the current members’ interesting connections to the original members. Incidentally, if a biography is to be written about the group, Zolten is the guy to do it. He had a hand in introducing the Fairfield Four to a wider audience in the 1980s. Thereafter, the reconstituted quartet went on to garner Grammy awards and made an appearance in the Coen Brothers film, O Brother Where Art Thou. Still Rockin’ My Soul was completed with financial help from a successful crowdfunding campaign. It’s a sad commentary that a group with this much talent has to resort to crowdfunding, while pop artists who can only sing with the benefit of Autotune get major label attention. Nevertheless, I am glad the campaign was successful because this album is a solid reminder of the transformative power of human voices blended in harmony. Written by Stephen L. Betts , Rolling Stone Country Watch the video here. Lee Ann Womack's two-night stint at Nashville's City Winery in late February was postponed by an atypical Music City snow and ice storm, but thanks to Mother Nature, when the shows did go on last week fans got one extra night and some incredible special guests taking the stage with the acclaimed country vocalist. In addition to guest appearances from Womack's two daughters, her longtime pal, songwriter-musician Buddy Miller, and guitarist-producer Richard Bennett, who has collaborated with her on a limited-edition vinyl release for Record Store Day on April 18th, the singer performed a pair of songs with world-renowned a cappella gospel group the Fairfield Four. In its review of the third night's 90-minute show, the Tennessean noted that their "stunning version" of "Children Go Where I Send Thee," had the crowd on its feet. The group also joined Womack for her iconic crossover hit, "I Hope You Dance," which the singer hailed as the "the best version of the song you've ever heard." The Fairfield Four are famed not only for their blend of gospel harmonies but also for their unique stage outfits, which blend formal tuxes with denim overalls. The group, first formed in Nashville in 1921, recorded "Children Go Where I Send Thee" with Womack for their latest album, Still Rockin' My Soul, which was released last month. 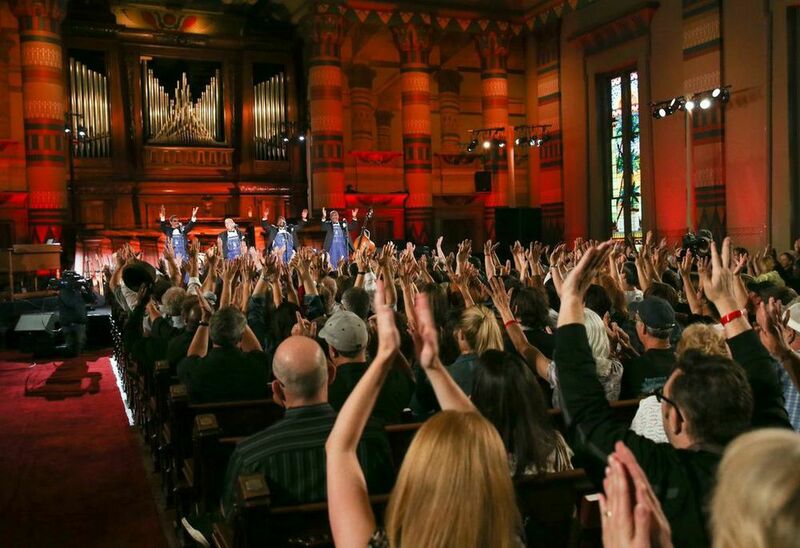 She was also on hand when they recorded a live version of the spiritual for the new PBS special, Rock My Soul: A Gospel Celebration, at Nashville's historic Downtown Presbyterian Church. The PBS special is airing on various stations as part of their current pledge drive. Check local listings and www.pbs.org for more information. Twenty-four years after his death, the Rev. Samuel McCrary's legacy still looms large in Music City. As the pastor of St. Mark Baptist Church in Germantown, he ministered to hundreds of Nashvillians over the years. 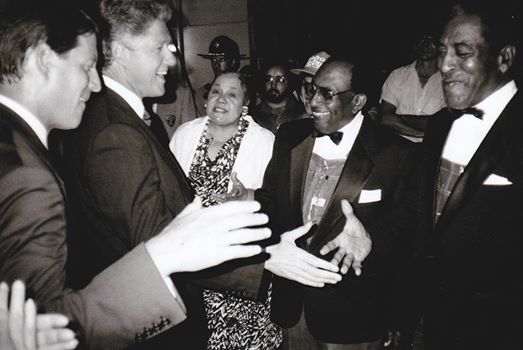 As an integral member of local a cappella gospel institution The Fairfield Four, his tenor touched countless listeners. The Fairfield Four and his four daughters, The McCrary Sisters, continue to carry on his musical influence. "Sam was the anchor of the Fairfield Four," says Joe Thompson, the group's current leader and bass singer. His cousin Rufus Carrethers was one of the Four's original members when the group was founded during the early 1920s at Fairfield Baptist Church. A 22-year-old McCrary joined the a cappella group in 1935, and, during the post-World War II years, assumed leadership of the Fairfield Four as they recorded dozens of sides for Dot Records, Bullet, Nashboro and other labels. Those records would go on to influence doo-wop acts of the 1950s such as The Clovers. Though the group's founding members have all passed away, the current lineup — Thompson, Levert Allison, Bobbye Sherrell and Larrice Byrd — is determined to keep the Fairfield Four tradition alive. They released a new album, "Still Rockin' My Soul," that pays homage to the group's strong roots (and their Nashville ties, as country singer Lee Ann Womack accompanies them on the soulful "Children Go Where I Send Thee"). "Our style is rare and we refuse to let it die away," Allison says. "I think it's our obligation to carry it on." 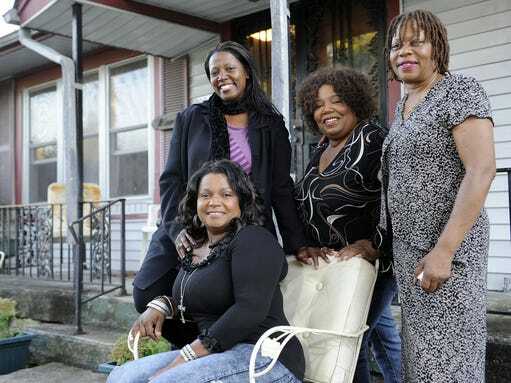 That's a sentiment familiar to the McCrary Sisters — Ann, Regina, Deborah and Alfreda — who have followed their father's path since childhood. "As kids, we thought everybody had the ability to sing," remembers Ann McCrary because everybody they knew did sing. All eight McCrary children sang in the church on Sunday mornings. During the evening, they'd listen to the Fairfield Four practice in the living room of the family's Acklen Avenue home and emulate the harmonies they heard. The education they received from the Rev. McCrary wasn't just musical, though. "My dad asked us to bring him some clothes to donate to children in need," Regina McCrary says. "So I brought some things down and said, 'Daddy, you can have these because I don't like them no more.' He looked at me and said, 'When you give, you give from the heart. You give something that's hard to let go of, or it's not giving.' That was a lesson, and now that's how we live and how we treat each other." Over the years, the McCrarys have sung in every studio and style that Nashville has to offer. At 3 years old, Ann McCrary, the oldest daughter, began traveling with the Fairfield Four; she hasn't stopped singing since. Alfreda McCrary, the baby of the group, mainly focused on the music ministry she did with her husband, but soon began singing with Regina and Ann. They'd go on to accompany Mike Farris during his live performances, and after the shows, Regina McCrary says, numerous audience members would come up to the McCrarys and ask whether the trio had recorded an album of their own. That's when they got the idea to form their own group, but first, they needed to persuade one more woman to join them. Deborah McCrary had devoted herself to a career in nursing, and when her three sisters asked her to perform with them, she admits to being initially hesitant. Her nerves were only compounded when she joined her sisters onstage at the Station Inn and suffered her first hot flash. "It felt like everybody was staring at me, and I swore I'd never get back up there again," she says, as her sisters dissolve into laughter. "But it was so much fun to be with my sisters, and after that it didn't take much (convincing) at all." Six years after that Station Inn show, the quartet has guested on numerous recordings by Paul Thorn, Mary Gauthier and Dr. John, to name a few. They've also just released their third album together, "Let's Go." Working with longtime friend and collaborator Buddy Miller, the McCrarys considered 50 songs for the project before slowly narrowing it down to the final 16 tracks on the finished product, which is a vibrant and joyful tribute to their father. "Most of what you hear on the CD are songs we grew up listening to," Regina McCrary says. "We heard them in church and we heard the Fairfield Four sing them. When we listened to them again, those songs brought back such sweet memories that stirred our spirits, which is why we picked them for this album." On "Let's Go," The Fairfield Four join the McCrarys on an uplifting a cappella rendition of "Don't Let Nobody Turn You Around," a song that Sam McCrary recorded with the Four more than half a century ago. The newest version of the song isn't just a salute to the groups' shared past, but a hint at an exciting future. "I see us as a bridge between old school and new school (gospel)," Regina McCrary says. "You've got to understand where the music has been to know where to take it." On July 10, the Fairfield Four, who'll likely be clad in their favorite "Tennessee Tuxedos" — the crisp white dress shirts, bowties and denim overalls that the group is sporting on the back cover of their latest album — and McCrary Sisters will bring a "Rock My Soul" concert to the Schermerhorn Symphony Center. But first the two groups will celebrate Easter Sunday at the Ryman Auditorium as part of the "Sam's Place: Music for the Spirit" concert series alongside Charles Esten, Colony House, Jason Crabb and Francesca Battistelli. "We're going to get up, have a good time and talk about God's love, joy and mercy," Regina McCrary says. "Hopefully, we can bring peace and happiness to somebody's life." Still Rockin' My Soul Available NOW! God bless, and we hope you enjoy. For fans of American roots music and the film, O Brother Where Art Thou, Bainbridge State College is pleased to announce its next performance in the second annual Carter Arts & Lecture Series lineup. The Fairfield Four, a multiple Grammy Award winning traditional African American spiritual and gospel quartet, will perform as part of this season’s second annual Carter Arts & Lecture Series on Feb. 19, at the Charles H. Kirbo Regional Center, located on the BSC main campus. The performance will begin at 7 p.m., with the doors opening at 6 p.m. The event is free and open to the public with no tickets required for entry. The Fairfield Four, the most distinguished proponents of traditional African American a cappella gospel singing working today, were organized in 1921 by assistant pastor of the Fairfield Baptist Church in Nashville, Tenn., the Rev. J.R. Carrethers. Their a cappella style was drawn from the Birmingham, Ala., quartet tradition exemplified by recording groups such as the Bessemer Sunset Four, the Birmingham Jubilee Singers and the Famous Blue Jay Singers with lead vocalist, Silas Steele. 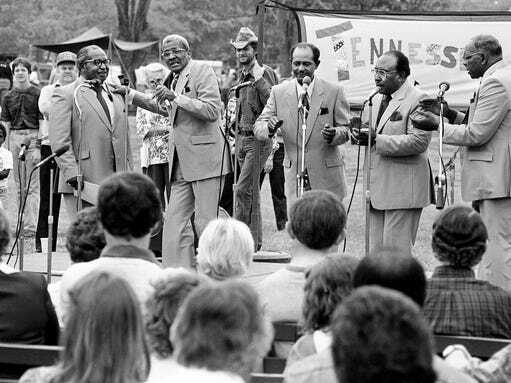 The quartet was among pioneers of African American gospel groups that used radio to reach broader audiences. Radio led to making records and, beginning in 1946, the Fairfield Four released sides on the Bullet, Dot, Delta, and M-G-M labels, and later on Champion, Old Town, and Nashboro. Extending themselves through the far reach of media, the Fairfield Four would influence both sacred and secular vocalists across the land, among them blues singer B.B. King. Their awards and honors include: the National Endowment for the Arts, National Heritage Award, 1989; Tennessee Lifetime Achievement Award, 1994; Nashville Music Award Lifetime Achievement Award, 1995; James Cleveland Stellar Award, 1996; Grammy Award, Best Traditional Gospel Recording, for I Couldn't Hear Nobody Pray, 1997; Gospel Music Hall of Fame, inducted, 1999. Upcoming Carter Arts & Lecture Series events: Calidore String Quartet, March 12; poet Noah Blaustein, April 14; and Canopy Road Theatre’s production of August Wilson’s “Fences,” April 23. Bainbridge State College, a state college of the University System of Georgia, provides an accessible, affordable, and excellent education for the diverse population of southwest Georgia and beyond through certificates, diplomas, and associate degrees, as well as through continuing education, adult education, and collaboration with other educational providers, resulting in life-long learning, economic development, and graduates empowered for success in a global society. The Fairfield Four wish you a very Merry Christmas! Click HERE to enjoy their video message. Hot baked folk music followed me as I hit the Canadian lunch on Saturday to see my favorites New Country Rehab from Toronto. John Showman’s voice has a stirring immediacy and he’s figured out how to integrate it with expert fiddling in a country rock context. New to me was boldly twangy and plaintive Jess Reimer from the snowy woodlands of Manitoba. And N.Q. Arbuckle’s gruff and ramshackle blues sounded great on a gorgeous Nashville afternoon with good company and an IPA. This was all a very good time, but nobody so far had made me cry. That felt like it might be changing with an invitation to Rock My Soul, a collaboration of Todd Mayo (Bluegrass Underground) and David Macias (Thirty Tigers). As I walked down Church Street to the venue I caught the eye of an Elvis impersonator -- wait, a female Elvis impersonator?! -- at the wheel of a black Cadillac Escalade. Elvis gave me a nod and I knew that my night would be magic. The 160-year-old Downtown Presbyterian Church is a soul-stirring space even without music. But suddenly we got the Fairfield Four and the McCrary Sisters singing together in a row, with a range like an organ and sonic energy like a helicopter taking off. For those not of Nashville, the McCrary sisters are the gospel quartet who work with Buddy Miller (including in the Honors and Awards House Band) and who deserve far more bookings than they get for their badass show. Their late father Rev. Sam McCrary was a key member of the venerable Fairfield Four, Nashville’s world-famous male gospel quartet with origins in 1921. The two groups have only rarely joined forces in performance, so this was special -- a stunning, core-shuddering sound that kept me dabbing my eyes. The event was a TV taping for PBS, so there were guests. Lee Ann Womack sang with each group, sounding solid but on guard with the Four and totally in the pocket and passionate with the Sisters. Amos Lee joined the Four, and as good a singer as he is, it’s fascinating watching him work for an effect that the old cats achieve with ease. Lucinda Williams came on, looking a bit jittery, but so did a rhythm section, and by the end of a punchy, second-line rocking “Get Right With God” she was dancing around like it was a revival. Surprises like this kept happening, with moments of transcendent beauty mingled with funky hand-clappers, while members of the Four and the Sisters stepped up to chatter while the crew switched out mikes and got us through the seemingly inevitable TV production lulls. We spilled into the darkening Nashville two and a half hours later feeling cleansed and made whole. A vocal trio of young men was organized in the Sunday school of Fairfield Baptist Church. The time was the early 1920s, the church was located on Hermitage Avenue, and its pastor was Rev. J.R. Statton. Click here to read about the history of The Fairfield Four- including handwritten by laws from the original group!